Have you ever passed on a sale day because you know that you’re going to have to jump through hoops to find a good deal? Me too! Thankfully, I can always depend on Eloquii to take my money with little to no inconvenience - especially during a sale! Eloquii’s Spring Stock Up is now happening online and in-store, and I’m saving you time (and coins) by rounding up some of my favorite Eloquii purchases (including what’s in my basket now) so that you can head straight to checkout! Go on, enjoy 25% off your entire Eloquii purchase today! 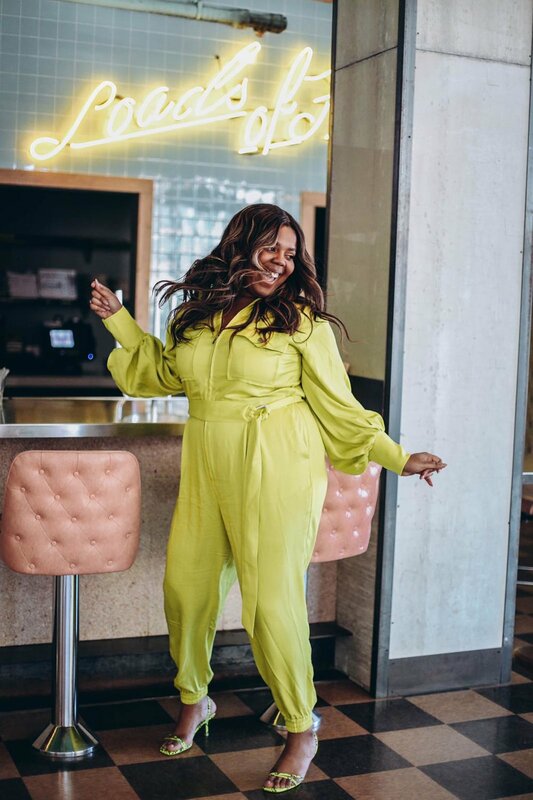 I absolutely love the Priscilla Ono x ELOQUII Utility Jumpsuit! Here are other looks I’ve worn, as well as items I will be picking up today!